Within the Internet of Things, MQTT has emerged as the de-facto standard protocol for low-power, low-footprint devices. The protocol supports this domain with extraordinarily low network overhead and a good model for direct connectivity and connectivity through a gateway. In addition, open-source MQTT clients are available for virtually every platform. In Twilio, we use the MQTT protocol to represent Sync state to low-power devices. This means your IoT device state is available to your backend services (via web hooks) and to your browser or mobile device, as well as the reverse direction. 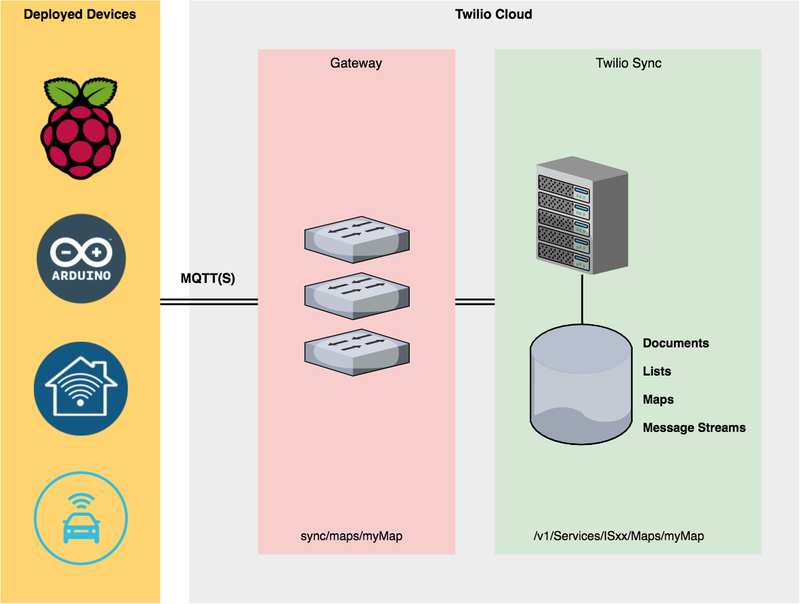 To support this, we at Twilio have applied a convention to the MQTT topic hierarchy, and we have interpreted particular MQTT protocol features (e.g. “clean sessions”, quality-of-service) through the lens of state synchronization. The nuances of State Synchronization over MQTT. If you haven’t yet, head over to our Quickstart library to get a working MQTT program with which to experiment.